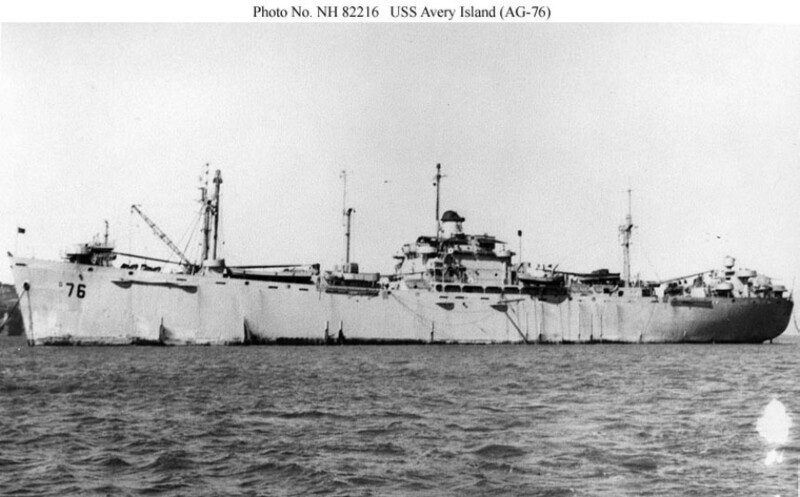 Laid down, 31 October 1944, as a Maritime Commission type (EC2-S-C1) hull, under Maritime Commission contract (MCE hull 3085) at New England Shipbuilding Corp., South Portland, ME. Decommissioned, 24 December 1944, at Atlantic Basin Iron Works, Brooklyn, N.Y.
Decommissioned, 27 May 1947, at San Pedro, CA. Largest Boom Capacity 36 t.
two turbo-drive 60Kw 120V D.C.
114k USS Avery Island (AG-76) at anchor in San Francisco Bay, circa 1945-1946. After one voyage to Japan in late 1945, this ship was refitted at San Francisco between December 1945 and May 1946 to support Operation "Crossroads." She returned to San Francisco in August 1946 to begin a lengthy decommissioning process that included radiological decontamination in November 1946. Safeguard and Avery Island were at the yard for decontamination from the Bikini Island tests. 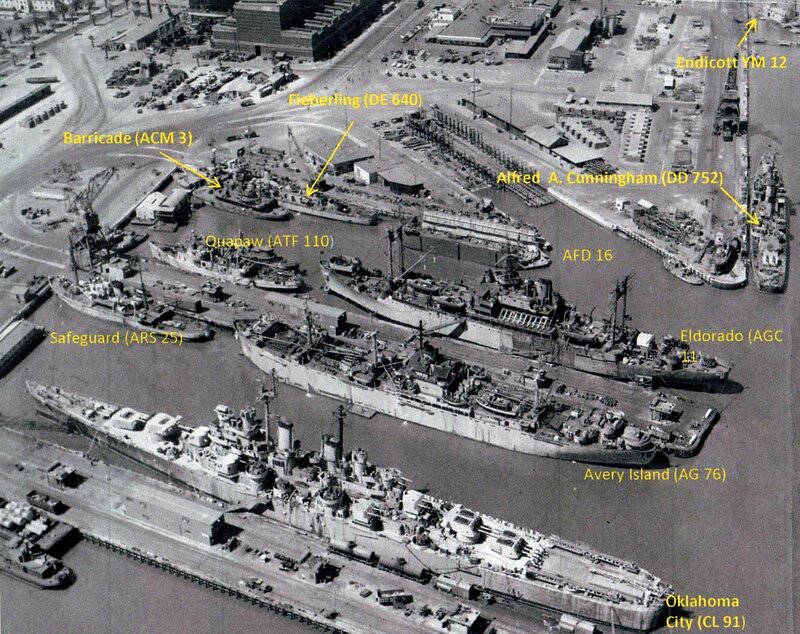 Oklahoma City is about to be decommissioned; Barricade is about to be turned over to Coast Guard; Endicott dredging berth 18 and the others are in for repairs.